I know no big deal,,,,a stupid picture of a water pump ,,,,this is the first time I have to replace one on a F10 N55 engine. 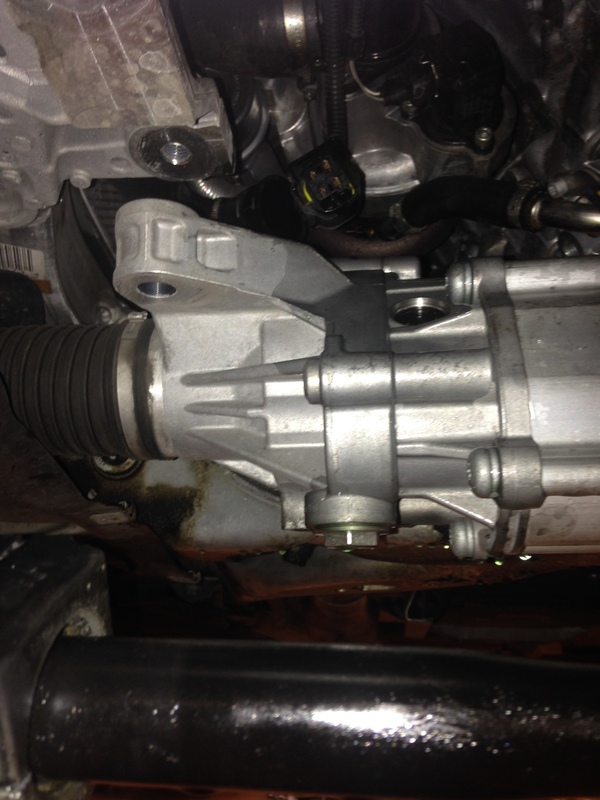 There alittle more work to remove the waterpump on a F10,,,,you have to unbolt the sway bar and let it hang down. The big difference is that you have to un bolt the electric steering rack,,,,the reason you have to do that is there is not enough room to pull the waterpump out,,,,when you lower the steering rack that gives you enough room to slide the waterpump out,,,,you still keep the steering shaft bolted,,,,do not un bolt the steering shaft,,,there is no need to. 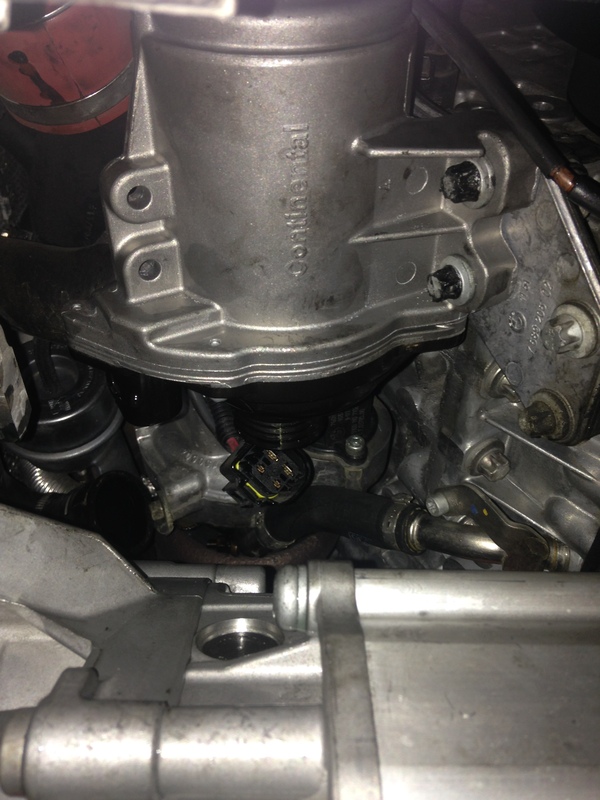 This entry was posted in Uncategorized and tagged F10, removal, waterpump. Bookmark the permalink. Thanks! Is there a different approach needed for the XDrive version? Is there any additional steps for Dynamic Drive cars? 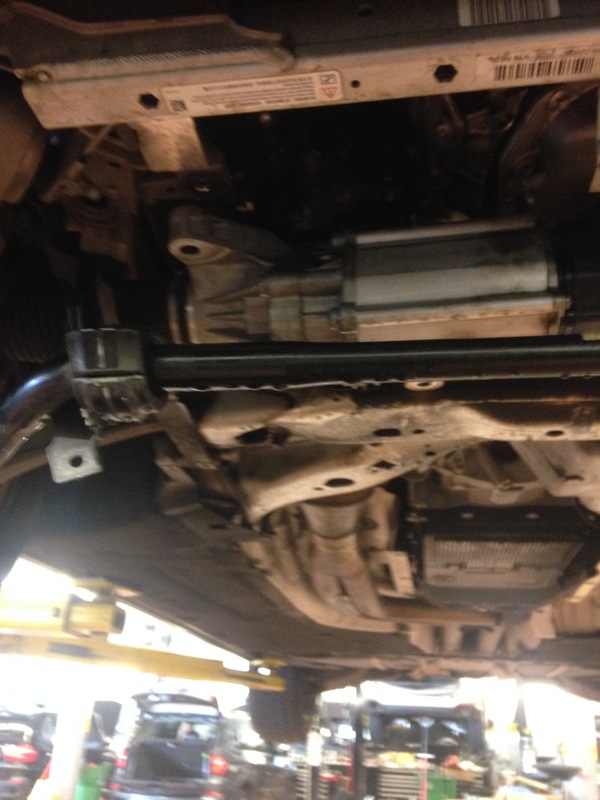 Is there enough slack in the hydraulic hoses for the sway bars that it will hang down far enough? I already have my radiator fan removed and plan on swapping the thermostat also- I wonder if I can unbolt the water pump and hoses and pull it out through the top rather than messing with the sway bars and steering box.